I have had this post in mind for some time but my commitment to write it was ignited by my neighbour, who after having a long chat with me over a cup of green tea, she showed me what to do to tidy the ornamental garden of the house I live in. As we walked around naming plants and shrubs, she pointed out the abundance of weed dominating certain areas of the garden, and to be honest this was the first time I really noticed how wild it was. We all know that weeds are a pest and should be managed and kept under control, but this lot had got out of hand. My neighbour said ‘get stuck into pulling that lot out….after the morning you’ve had you will feel better!’ So that is what I started to do, then I realised that the flowers and shrubs did not have a choice and could not stop this particular weed entwining itself around them for this was nature and a natural occurrence. Sometimes life can be just this way especially where things happen that impact on the way you live and your well being. There can be so much to do and think about – one thing after another enveloping your whole existence and sucking the life out of you, just like the weed strangling the beautiful spirited plant. So what do you do? – Unlike the beautiful flowers and shrubs we have a choice and can take control of our lives and what is happening in it. This is what I call ‘self-preservation’ which includes not allowing third parties to make decisions for you therefore there is a requirement to have control of your life and be financially free, in good health, physically fit and building strong foundations to sustain your family and home. These are the basics but sometimes some people cannot seem get it together, always encountering obstacles for them to remain static. So, what is the solution? – Its all about how you deal with the weed. The quickest would be to kill it with weed killer, but that may not be an option as it would kill the innocent flowers around it. Or you can take firm hold of it and pull from the roots. In life you may not be able pay the debt in full or lose the body fat overnight but you can manage it and by doing so take control. Do not be afraid at what could be a mammoth task and take each weed and deal with it properly. 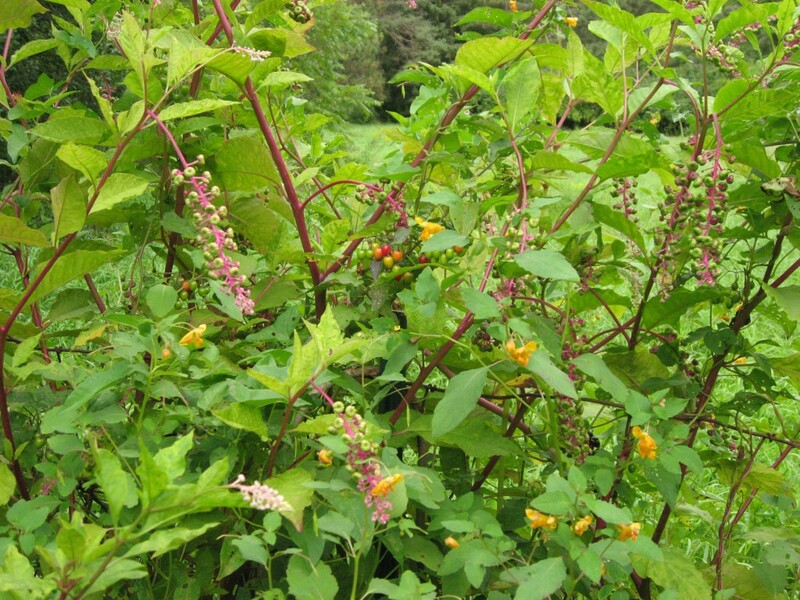 It is important to watch for the signs when the weed starts to re-grow because sometimes you may miss it and before you know it has consumed the beautiful flowers and shrubs again. Anticipate the challenge and be ready to deal with it…….That is being in control. The weeding is done. Taking control takes work, time, commitment and focus but in the long run it gives freedom and fulfillment and your life back. Oh and one last thing….only YOU can do it. Waiting for others to do it for you is a mistake! I thank God for life’s challenges because they make people better people especially when they share the learning and wisdom.